It might be 22 years since the show finished, but its stars are still chilling out, maxin’, relaxin’ all cool and shooting some b-ball outside of the school. Well, maybe not the b-ball, but I just couldn’t help myself. Instead, Will and Carlton, or as they go by these days, Will and Alfonso, are just hanging out, looking almost as fresh-faced as they did when they first appeared on our 90s TV screens all those years ago. 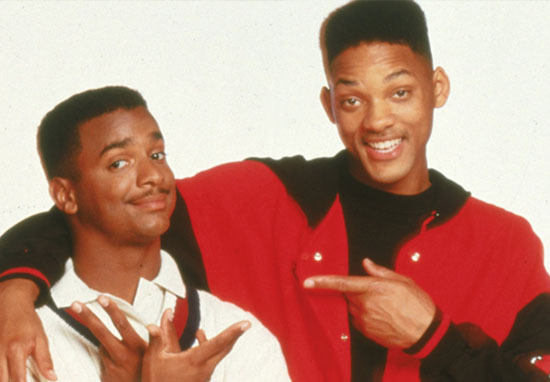 The characters, played by Will Smith and Alfonso Ribeiro, always had great chemistry on-screen. Whether they were fighting or making jokes at the other’s expense, the two always came through for each other. So, it’s great to see Will and Alfonso still so close more than two decades since the show finished. One of my favorite people on this Whole Damn Rock!! It’s good to see the guys hanging out together, last time we saw Will he was looking a bit lost in a shopping centre in London. Ok, maybe not lost, but definitely a bit out of place as he was spotted flogging his new drink JUST Water at Boots in Westfield, White City. This weekend we launched @JUST Water in 800 of our stores. Rather than plastic, the packaging is made up of 82% renewable resources and is made mostly of paper from FSC managed forests. @iWillSmith visited our Boots store in @westfieldlondon to tell our customers all about it. One image showed the Hollywood star filling his shopping basket up with JUST Water bottles, and explained that Will had even been given his own staff badge for the day. Though he looks pretty natural mooching round trying to get the best bargain on his meal deal (triple sandwich mate, no brainer) I reckon Will looks more at home back with his cousin Carlton.